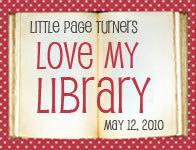 Yep that's right...we Love our library...and our librarians. I know I have said this before on here....but they are AWSOME. So today I join this bog hop mostly to say thank you. 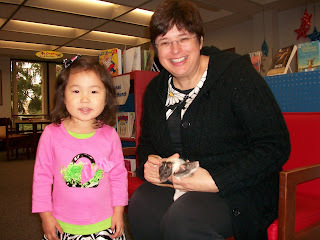 Thank you to our library for providing such a wonderful place for A to learn, play, and explore. And Thank you to Nancy and Marianne for the amazing people they are and the amazing jobs they do. They truely are blessings for us and A's insatiable thirst for knowledge. 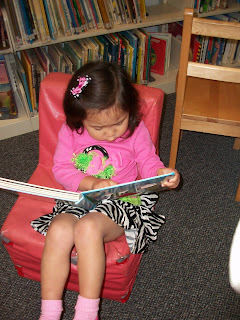 We really just adore our library! we go every Tuesday and Wed. Yep, 2 days a week....just as A asked for us to. It is the favorite part of both of our weeks. I may be small, but the love there is so big! 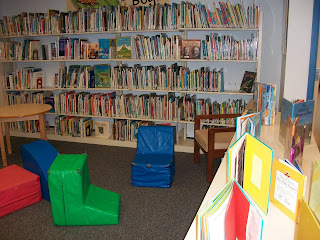 The perfect small town library!....rats and all LOL. After we finished....she said she was going to draw....I asked her what....she said "I am going to draw my observations in my journal." 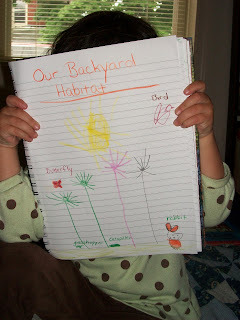 So she decided to draw her backyard habitat. 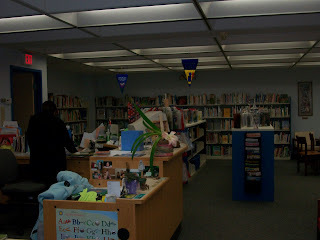 Your library is truly beautiful. I wish we had so much space. I truly believe that libraries are one of the most fantastic things available to families, and I hope that they will not fall victims to budget cuts. Our city is talking about having libraries open for only 3 days a week - how horrible. 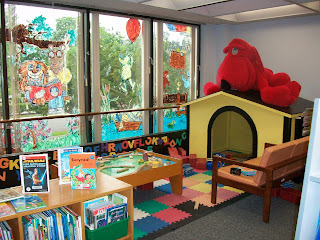 What a fun library! I like all of the seating and the kids area with the train table! 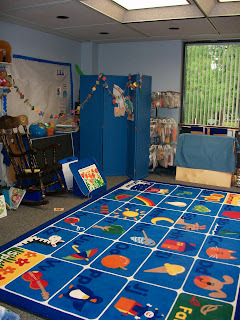 What a fun and colorful place to learn and play! Thanks so much for linking up!!! Oh my goodness! Rats! My little boy would love that- he's a huge fan of the movie, Ratatouille!! 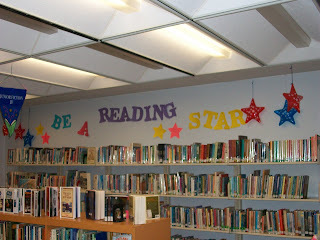 Your library looks great. 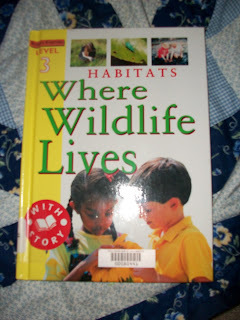 Cool habitats book...will have to look for this book, as we have been working on habitats. Have signed to follow your blog. Hope that you will pop by to see my blog.